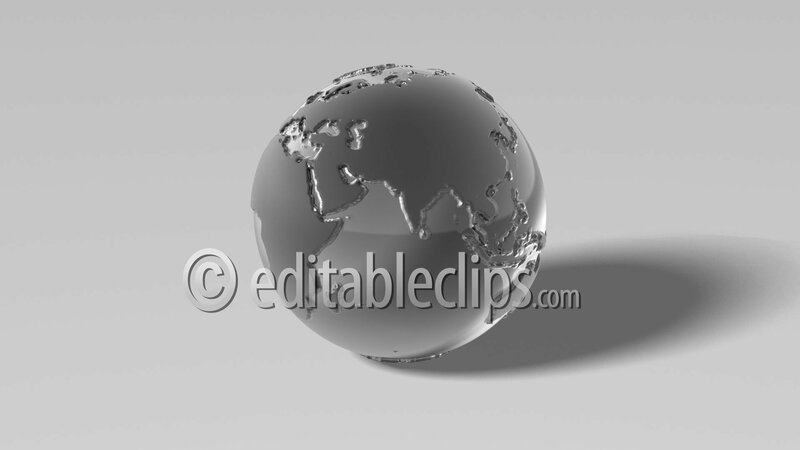 3d rotating silver globe with real 3d geometry extruded continents (no bump texture). Seamless loop. Alpha channel. News Background, LOOP. Gray Version.